VERSATILE STYLE – This multi-purpose outdoor blanket is useful for your outdoor adventures – traveling, hiking, camping, backpacking, festivals, picnics, or just a lazy day at the beach or park! Ranging from a beach mat to an improvised shelter from the rain (rainfly) – or simply as an emergency pad & gear to have around! DURABLE, LIGHTWEIGHT & COMPACT – Superb quality & the perfect size for your travels & the outdoors. This lightweight pocket blanket folds up to fit right into your palm. Hook it onto your backpack, throw it in your bag or keep it in your car – you never know when it’ll come in handy! WATERPROOF, PUNCTURE RESISTANT & SAND PROOF – The unique fabric of this blanket is completely waterproof (moisture proof) & puncture resistant – a perfect accessory for your adventures in nature! Need a barrier between your belongings and the sand while at the beach? This is the blanket for you. ★LIGHTWEIGHT & PACKABLE★ The Travel Hiking backpack is super lightweight(only 1lb) and easy to be folded to a small bag(only 8 x 9inch), and convenient to unfold it when you need. It’s great to reduce the backpack weight and saving the space, the best choice for the travel or daily use. 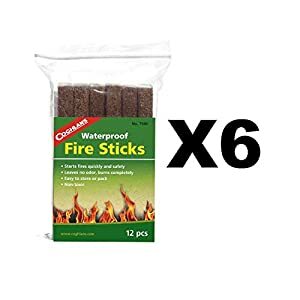 ★WATER RESISTANT & DURABLE★ Made of Tear/Scratch/Water Resistant and Durable Polyester Fabric with heavy-duty two-way SBS metal zipper provides extra strength and long-lasting performance with the lightest weight possible. The extra strength provided by the double-layer bottom piece makes it very convenient to carry more load on your journeys. Ensure a secure & long-lasting travel hiking and outdoor activities usage every day & weekend. ★2-YEAR RETURN & REFUND WARRANTY★ OlarHike Travel Hiking Backpack is covered by 2-YEAR Return & Refund Promise & a LIFETIME aftersales-service warranty! Once the backpack came apart or broken during the 2 years, get back to us for a new replacement free of charge without return. 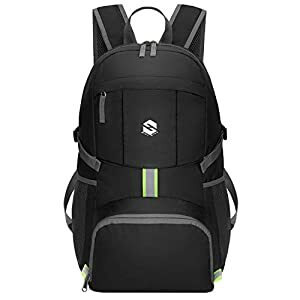 It is a very popular multipurpose backpack, suitable for different people, suitable for various occasions, can be used to travel, trekking, hunting, hiking and other outdoor activities, for both men and women, boys and girls, It is a general daypack. 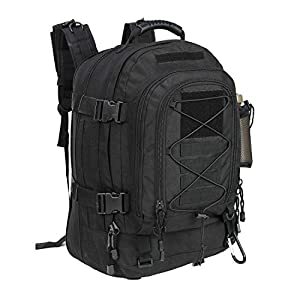 But it have some Molle system, you can add different small pouch or Velcro on it, make the backpack different with other backpacks. 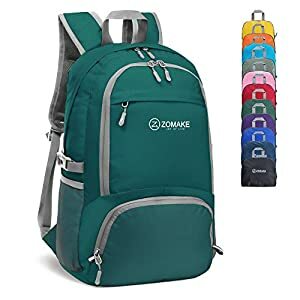 This 3-day travel backpack has four main loading space, the front compartment can hold the cell phone wallet, the key and so on, the middle compartment can put the flat plate and the book, the main compartment can put some clothes and so on it works great to hold all of those just Incase items, like fuses and food, flashlight, anything Incase of an emergency. Plenty of room for a lot of stuff and plenty of separate compartments you have organized. 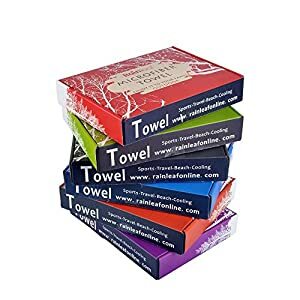 Rainleaf Microfiber Towel Perfect Sports & Travel &Beach Towel. 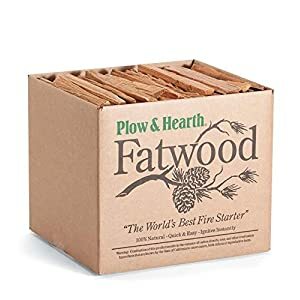 Fast Drying – Super Absorbent – Ultra Compact. 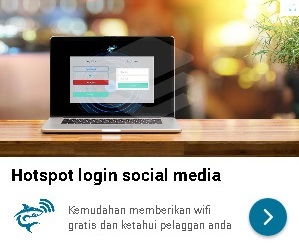 Suitable for Camping, Gym, Beach, Swimming, Backpacking. 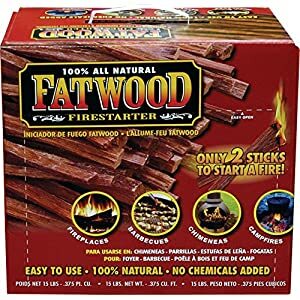 FAST DRYING – much comfortable for next use & convenient to pack. SUPER ABSORBENT – capable of repeat use in short time & dry you fast. BEAUTIFUL COLOR – much suitable for multi use daily. Ease to keep your towel fresh and away from mildew & germ. SKIN FRIENDLY – remarkable soft suede like feel on your skin and face. ULTRA COMPACT & LIGHT WEIGHT – easy to carry and space saving. HANG SNAP LOOP – practical & easy to hang anywhere and dry. 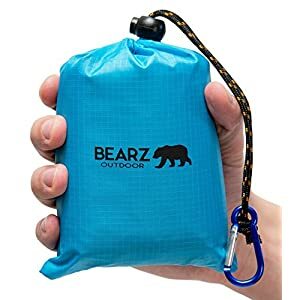 CARRY BAG – reusable and waterproof. DURABLE. 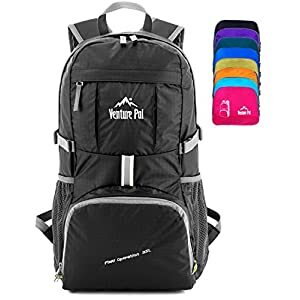 This Venture Pal Backpack is made with high quality tear and water resistant material, provides extra strength and long-lasting performance with the lightest weight possible. The extra strength provided by the double-layer bottom piece makes it very convenient to carry more load on your journeys. Heavy duty two-way SBS metal zippers across the backpack are convenient to operation on whichever side you prefer. Longevity is further enhanced by bar-tacks at major stress points. COMFORTABLE. Breathable mesh shoulder straps with plentiful sponge padding help relieve the stress from your shoulder. The length of the shoulder straps is adjustable. The chest strap with a whistle buckle help you lock your backpack in place securely. MULTI COMPARTMENTS and KEEP THINGS ORGANIZED. This backpack features one main zipped compartment, two zipped front pockets and two side pockets. The main compartment provide enough room (35 liters) no matter if it’s a day trip or a week long journey. Two separators in the main compartment are convenient enough to help you further organize things. The two front pockets are good for holding small accessories and for easy access. Two side pockets are good for holding water bottles and umbrellas. 【Large Capacity and Multi Compartment】Size: 14.5”x 21”x 8”. There are 4 main loading spaces and water bottle mesh pocket. Main compartment expands from 39 liters (2380 cu in) to 64 liters (3905 cu in). 【Disperse the Pressure】The adjustable chest belt can disperse the pressure of this military backpack, carrying more comfortable.The adjustable belt, let the whole tactical backpack fit our body, additional straps around the chest and waist to distribute the weight better. 【Convenient and Practical】 Two walkie-talkie pouch on the back strap of the bag , It is convenient to use walkie – talkie when you walk. Water bottle mesh pocket in the side.It is convenient for you to drink water in outdoor activities. 0.74LB！LIGHTWEIGHT：Super lightweight and easy to fold up into a small pocket (A true space saver) to fit anywhere. So you can easily fold the backpack into its own pocket for storage, and unfold it when you reach your destination. To avoid overweight charge, simply unfold from your checked bags and use it as a carry on for your excess baggage. A must have for every trip!